Don’t just take our word for it. Do the math. 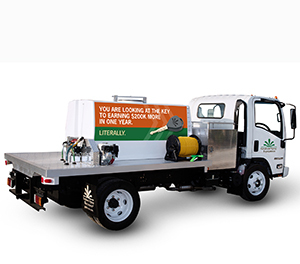 Buy our 600-gallon spray unit and truck for just $49,900 and spray an average of 20 6,000-square-foot lawns a day for 10 months. At $50 per lawn, that’s $200,000 in one year. Add Graham’s reputation for lifelong reliability and service, and you have the key to success. Check out all of spray rigs at grahamse.com or call 770-942-1617 for more information.